Have you ever looked through a camera lens through a window and seen droplets on the glass, out of focus, as they catch the sun and turn into glorious glowing crystals? I don't know if that's what the designer had in mind with this quilt, but in any case, it's wonderful. This beautiful design comes to us from Alexandra Ledgerwood and is a quilt she created for Robert Kaufman using Kona Cotton. 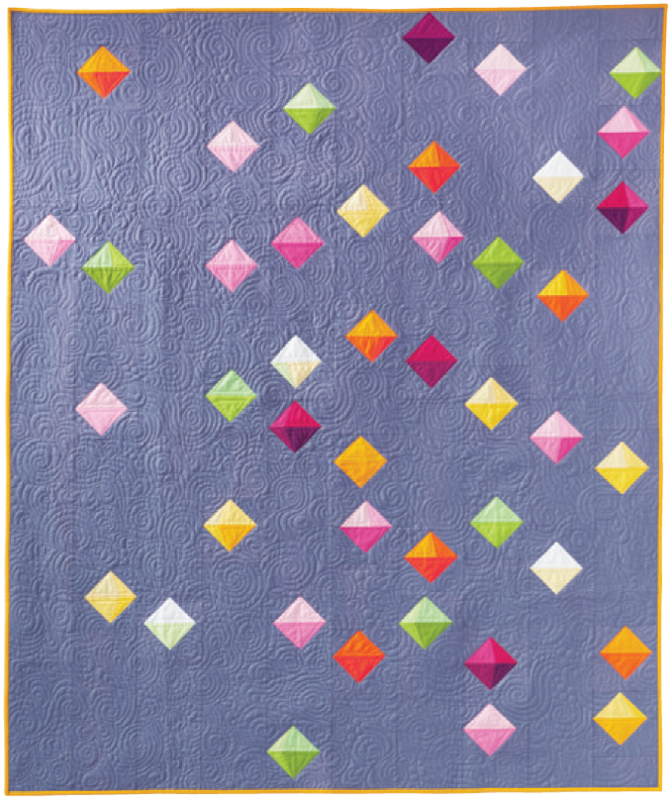 Great project for any level of quilter, with a nicely detailed PDF download. Enjoy!